It’s a great time to be a seller as the housing market in Northwest Indiana continues to boom. That’s particularly good news for homeowners who are looking to upgrade to a higher price-range house says Tim McColly, managing broker of the McColly Highland & Winfield offices and Director of the McColly School of Real Estate.  Last year McColly Real Estate had 4,728 total transaction sides closed with $845 million+ in open sales volume, ranking in the Top 500 Brokers in the U.S, Realtor word-of-mouth indicates that for sellers who want to buy higher end homes, the market is good. Indeed, as more millennials enter the housing market, the options for buying less expensive homes will continue to be very competitive. Add to that, single women are now the second largest buying force for homes. While married couples hold the largest home buying position with 54%, single women come in second with 18%, followed by unmarried couples with 15%, single men with 11% and other with 2%. Add all that together and it’s tough out there for those looking for homes under a certain price point. “Currently in Northwest Indiana, buyers often aren’t finding what they want at an affordable price or it sells too quickly because sellers are often getting multiple offers on their homes,” says Peter Novak, Chief Executive Officer of Greater Northwest Indiana Association of REALTORS (GNIAR), which represents more than 1,900 members in nearly 500 offices in Lake, Porter, Jasper, Newton, Starke and Pulaski Counties as well as several hundred from LaPorte County, IN; Cook County, IL and Southwestern Michigan. According to GNIAR’s Local Market Update, in February 2018 new listings were down by 23% compared to last year at the same time and the number of available homes dropped by 18.2% from last February to this one. Being in a seller’s market can be difficult when it comes to buying a new home but as McColly says, currently many newly built homes are more expensive than people entering the market can afford. That’s because currently there’s less construction at the lower end of the market as construction remains focused on luxury homes. Another competing force, according to the National Association of Realtors, cash investors now account for 22% of all home sales transactions in November 2017 which was a 20% increase from the previous month. For sellers, this could mean an all cash offer, often too fantastic of an opportunity to turn down. Looking at statistics for homes above $400,000, Novak says that the data may indicate that up until last year that section of the seller’s market was lagging. In 2014, only 287 homes sold in the $400,000 or more market in the seven Indiana counties GNIAR represents. That increased to 308 the following year and in 2016 to 362. Last year the jump was 40% to 507 indicating people may be jumping into the market. From January 1 to April 17 of this year, 2,397 homes were sold in Lake, Porter, Jasper and LaPorte according to GNIAR’s Market Statistic Reports and though the average time homes were on the market for each county varied, none were over 98 days. List prices per county averaged between $222, 939 (Porter) and $169,767 (LaPorte). In all counties, 3 bedroom homes with an average square footage of 1,800 had the highest number of homes sold. Also a plus for buyers looking for luxury homes is that interest rates, though rising slightly, are still low by historical standards. Besides that Northwest Indiana is also a bargain in terms of property taxes compared to neighboring Illinois, giving buyers more money for upgrades and more expensive homes.